Drunk driving laws and punishments may vary from state to state, but law enforcement officers all over the country use the same field sobriety tests, or FSTs, to identify suspected drunk drivers every day. Police use these tests to help establish probable cause to make an arrest by estimating a person’s blood alcohol content, or BAC. Prosecutors rely heavily on the results as evidence in drunk driving cases. But did you know that field sobriety tests are optional? If you are pulled over on suspicion of drunk driving, you do not have to submit to this battery of physical exams. If you do, it is highly likely that the officer who pulled you over will be the officer who will arrest you for allegedly driving drunk. Three FSTs: What is the Officer Looking For? 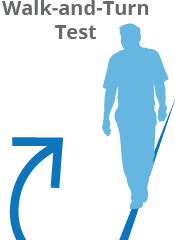 The National Highway Traffic Safety Administration (NHTSA) has sanctioned three field sobriety tests: the horizontal gaze nystagmus, the one-leg stand and the walk-and-turn tests. Each of these is designed to measure a specific response or reflex that some researchers believe is compromised if a person has been drinking. 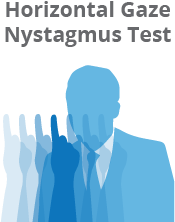 For example, the horizontal gaze nystagmus test measures the involuntary jerking of an individual’s eye, which can be exacerbated if one is intoxicated. 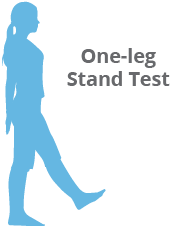 The one-leg stand and walk-and-turn tests are divided attention tests that measure both coordination and one’s ability to follow specific direction. Although they are widely used by police and accepted as evidence at trial, the question remains: are field sobriety tests truly an accurate barometer of a person’s level of intoxication? Many researchers say no. One important study found that officers are more likely to overestimate a suspect’s BAC if he or she submits to the field sobriety test. There have been instances reported all over the country of suspected drunk drivers who allegedly “failed” the field sobriety test, until video evidence of the testing surfaced, revealing that the suspect had actually passed. Perhaps the most shocking fact of all is that there is no conclusive evidence that a person who is sober will perform better on an FST than a person who is intoxicated. I Failed My FST—Now What? Certainly, there is a disconnect between the theory of field sobriety testing and the outcome of implementing of this law enforcement tool. If you submitted to a field sobriety test at the time of your drunk driving arrest, it’s not too late. There are many ways to defend yourself against a failed field sobriety test in court. Take the first step in protecting your rights by contacting an experienced DUI defense attorney in your area. © FieldSobrietyTests.org • All Rights Reserved.